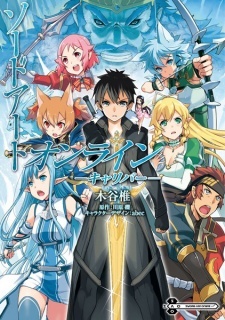 On December 28, 2025, Suguha showed Kazuto a news article that the Holy Sword Excalibur in ALfheim Online had been found. Excalibur was the rarest and most powerful sword in ALO, but, although they had found the sword nearly a year ago, they were not able to break through the guardians of the dungeon that the sword was held in, until they ended up temporarily forgetting about the sword due to more important matters. However, Kazuto was then told that the weapon had only been discovered so far, but not yet acquired. Thus Kazuto called Asuna, Lisbeth, Silica, Klein and Sinon to form a full party and attempt to clear the dungeon again. However, after they arrived at Jötunheimr and got on Tonkii's back, they discovered that the other players discovered the location of the item via a quest that required slaughtering the beast-type Evil Gods. Sword Art Online: Calibur was published in English by Yen Press on December 19, 2017.